This is a Highly informative read and a must read for those interested in the roots of modern political terror.In this brilliant look at the rise of political Islam, the distinguished political scientist and anthropologist Mahmood Mamdani brings his expertise and insight to bear on a question many Americans have been asking since 9/11: how did this happen? Good Muslim, Bad Muslim is a provocative and important book that will profoundly change our understanding both of Islamist politics and the way America is perceived in the world today. 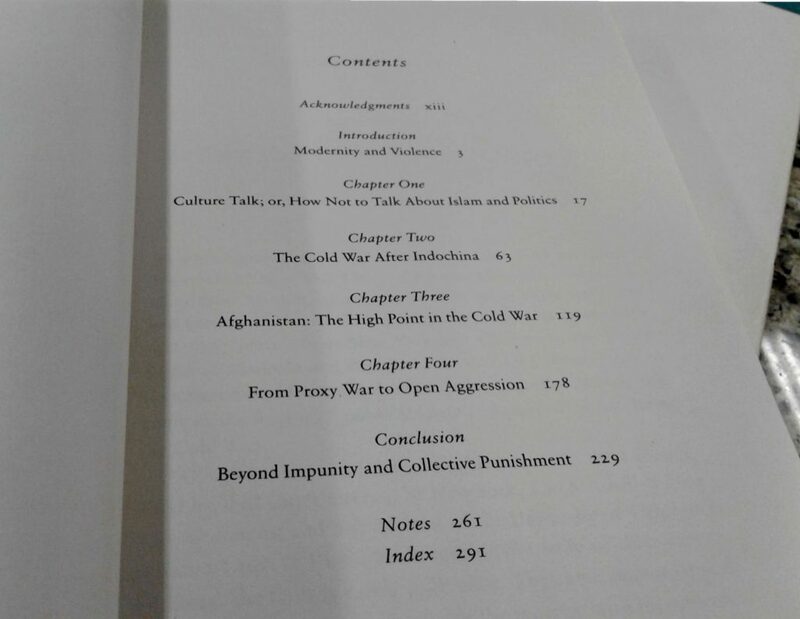 According to Booklist Review,Many of the many post-September 11 books probing the causes of Islamic terrorism invoke Samuel Huntington-esque notions about clashes of culture; many of the same books would like to dissociate the “war on terrorism” of the twenty-first century from the more conventional conflicts of the late twentieth century. Both these notions are Mamdani’s targets in this book. Politicizing notions of Islam by differentiating between secular, Westernized (“good”) Muslims and fanatical, medieval (“bad”) Muslims, Mamdani argues, misrepresents the often apolitical character of Islam. It also dangerously ignores cold war-era American complicity in the turbulence of the Muslim world through the waging of proxy wars, particularly the one in Afghanistan in which, says Mamdani, the CIA created Osama bin Laden. Those familiar with Noam Chomsky’s recent work will likely find some of Mamdani’s arguments familiar, particularly his discussion of imperialistic political violence, racism, and the modern state. Where Mamdani is unique and particularly compelling, however, is in drawing on his African-studies background to back up his assertions about violence, terrorism and Islam.